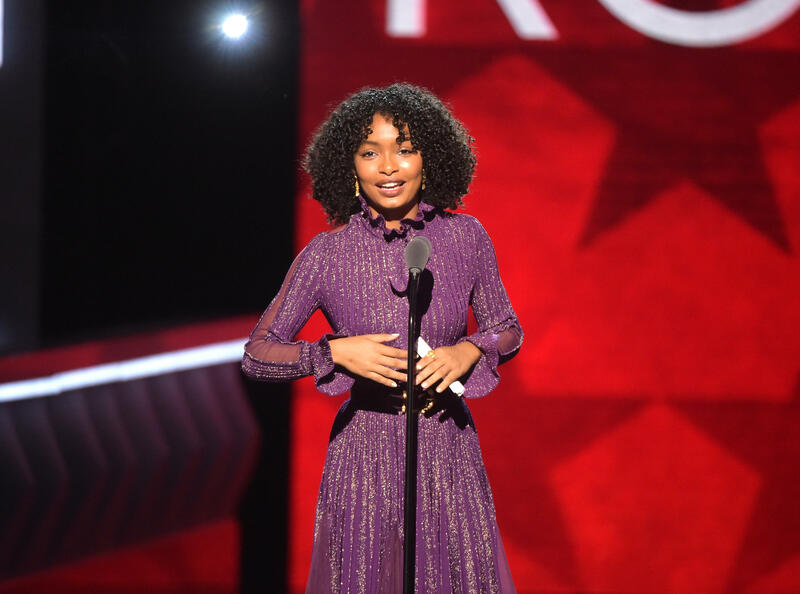 Yara Shahidi is growing up on screen and off camera. The "black-ish" actress is about to start shooting her new spinoff show, "grown-ish," in which her character, Zoey, heads off to college. In real life, Shahidi will attend Harvard, though she is deferring for at least one year. Shahidi, who is a spokesperson for Always #LikeAGirl - Keep Going, talked to CBS News about her new campaign with the company and why she embraces uncertainty through her character and in real life. Tell me more about your work with the #LikeAGirl campaign and why it was a good fit for you. I really appreciated the work Always has been doing and I really admire the campaign because it's breaking down personal and societal barriers that lead to a decrease in confidence during puberty; barriers that really do affect young girls. What does it mean to do something "like a girl" to you? What I love is there is no definition to what it means. So long there's been a stigma: "You throw like a girl; you cry like a girl." It usually implies sensitiveness but what #LikeAGirl has done is it makes it something you can define something as you wish. It's not defined by other people. It's not a weakness or something undesirable. It's about being unabashedly you. You're known for being very outspoken and confident. Was there a time when you struggled with your confidence? Yeah, I constantly go through it. I'm not saying, "Oh, my confidence is bad," but it definitely goes through phases of being extra conf or being unsure: "Why am I here? Do I fit in?" But we all go through it, especially in new environments. It's a constant learning and relearning process, how to feel comfortable that not only am I supposed to be here, but I'm wanted in this space. Who are your female role models who helped you become the person you are? So many people. I have to say my family's at the core of it because they've been the first example I've had growing up and really set the precedent for the idea that our gender and our race does not define what we can accomplish. What can we expect from "grown-ish"? So many things. The writers have gotten together and we all have the collective goal of portraying an authentic college experience: addressing peer pressure, formulating your own opinions in the chaos of new environments and at the core of it, watching growth. Will you miss being on the set of "black-ish"? The stage I'm shooting is yards away from the "black-ish" stage, so I'll be there all the time. What message do you want to convey to young girls through your character Zoey? Well one, I think it's really important to show that Zoey's unsure of herself. There's also moments she's dealing with society's messages of what she thinks she should do, what people tell her she should do and how she should be. When you watch her go through that, we're all hoping to handle that in nuanced ways, but to see her struggle with indecision and see her results, good, bad or indifferent, she made a choice and this is what happens what she makes decisions for herself. It's refreshing to hear an actor say they want people to see how uncertain their character is. I think it's really important because so many times we give messages that we're supposed to be sure of ourselves and it can be even more stigmatizing. You just graduated high school. Do you feel unsure of yourself, too? Of course. I'm nervous. I'm extremely excited for this next stage of my life. It's an unprecedented adventure for me and I'm looking forward to taking the next step. Speaking of college, why Harvard? Ultimately, I had such great experiences on campus and with the alumni, even down to the major I chose which is social studies and African-American studies because a lot of people I worked with and admired in the nonprofit world and innovations world were social studies majors. I think it's a good step to doing what I want to do. And what is that ultimately? I don't know yet, exactly, but I'll figure out how that manifests itself. This summer has been "Giovanni's Room" by James Baldwin and "Swing Time" by Zadie Smith.